Meg Magazine's 30 under 30: Movers & Shakers for 2012. Thank you Meg Magazine and Human for including me in your "30 Under 30: Movers & Shakers" for 2012. 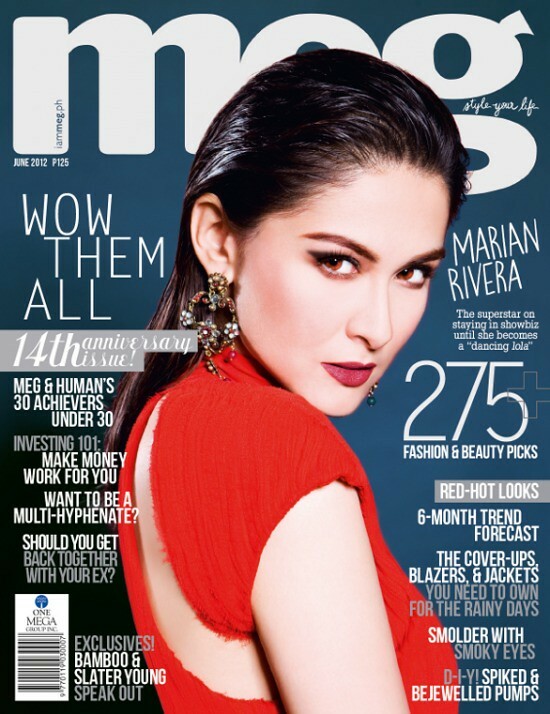 '30 under 30' is a feature in Meg Magazine's June 2012 issue with gorgeous Marian Rivera on the cover. The magazine is also celebrating their 14th anniversary this month. I had fun at the shoot! I was dressed in clothes from Human and it's something I would wear even if they didn't ask me to. The bracelet I'm wearing is a gift from my sister (Tory Burch). Met some new people, too. Both from Meg Magazine and from the "30 under 30" group. Here I am with accessories designer Eric Manansala. Check out his lovely pieces HERE. Just had to say this... Wish my hair were like this everyday! My hair is naturally straight and can't hold a curl even if my life depended on it. 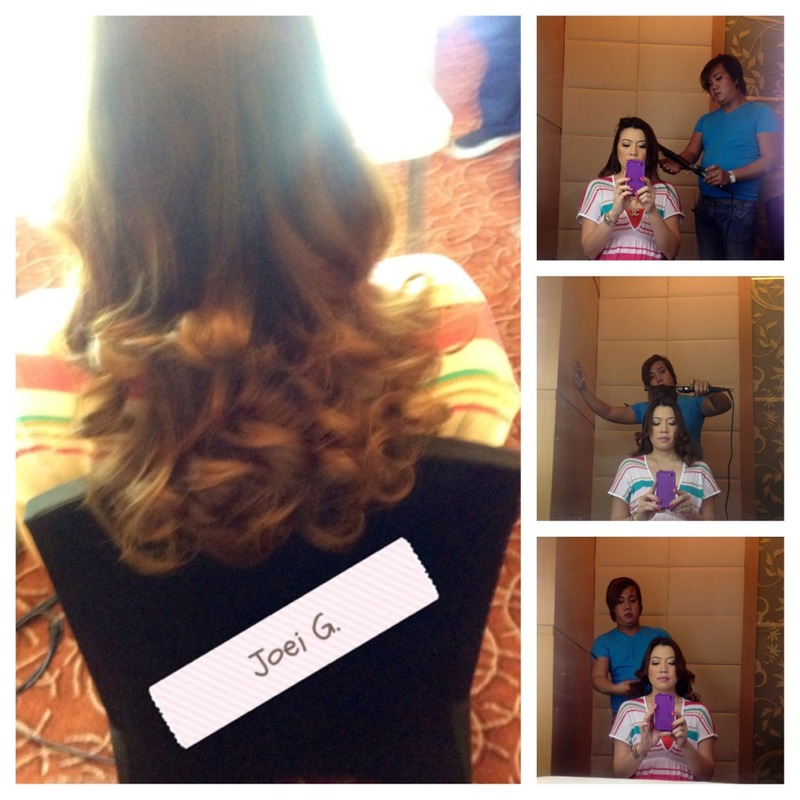 As you can see in the photo above, which was taken an hour after they did my hair, the curls aren't so curly anymore. The other "Movers & Shakers" are Jessica Arsolon, Nina Sandejas, Ponce Samaniego, Kookoo Ramos, Angelica Louise Ilustre, Pepe Diokno, Cham Estrada, Adi Lopez, Seven Barretto, Paelo Pedrejas, Cyrus Panganiban, Rossy Yabut, Em Millan, Czarra Platon, Angela Angeles, Ken Samudio, Eric Manansala, Perry Tabora, Robin Ortega, Chino David, Paul Diaz, Roki Ferrer, Bryan Kong, Laureen Uy, Kiefer Ravena, Em Bagual, Miguel Bermundo, Ariane Serafica, Danika Navarro. I hope you get featured in more magazines, and I hope they feature your travel posts. I enjoy reading them. Congratulations! This is super duper exciting news. wow happy for you! congrats!!! Congrats! That is so exciting to be featured!! Wow! Give's me a good reason why I need to buy Meg magazine. I love your curls. P.S. Thanks for liking my header! Congrats, mother! :) More more! Wow that is pretty cool! Your in the magazine!! Fun! Staycation in Dusit Thani Manila. New From Starbucks: Mojicha + Earl Grey Jelly. WWDC 2012: The New MacBook Pro.